While the British Siege of Port Royal in 1710, the Mi'kmaq and Acadians continued to contain the British to settlements at Port Royal and Canso. The rest of the colony was in the control of the Catholic Mi'kmaq and Acadians. About forty years later, the British made a concerted effort to settle Protestants in the region and to establish military control over all of Nova Scotia and present-day New Brunswick, igniting armed response from Acadians in Father Le Loutre's War. The British settled 3,229 people in Halifax during the first years. This exceeded the number of Mi'kmaq in the entire region and was seen as a threat to the traditional occupiers of the land. The Mi'kmaq and some Acadians resisted the arrival of these Protestant settlers. The war caused unprecedented upheaval in the area. Atlantic Canada witnessed more population movements, more fortification construction, and more troop allocations than ever before. Twenty-four conflicts were recorded during the war (battles, raids, skirmishes), 13 of which were Mi'kmaq and Acadian raids on the capital region Halifax/ Dartmouth. As typical of frontier warfare, many additional conflicts were unrecorded. During Father Le Loutre's War, the British attempted to establish firm control of the major Acadian settlements in peninsular Nova Scotia and to extend their control to the disputed territory of present-day New Brunswick. The British also wanted to establish Protestant communities in Nova Scotia. During the war, the Acadians and Mi'kmaq left Nova Scotia for the French colonies of Ile St. Jean (Prince Edward Island) and Ile Royale (Cape Breton Island). The French also tried to maintain control of the disputed territory of present-day New Brunswick. (Father Le Loutre tried to prevent the New Englanders from moving into present-day New Brunswick just as a generation earlier, during Father Rale's War, Rale tried to prevent New Englanders from taking over present-day Maine.) Throughout the war, the Mi’kmaq and Acadians attacked the British forts in Nova Scotia and the newly established Protestant settlements. They wanted to retard British settlement and buy time for France to implement its Acadian resettlement scheme. The war began with the British unilaterally establishing Halifax, which was a violation of an earlier treaty with the Mi'kmaq (1726), signed after Father Rale's War. In response, the Acadians and Mi'kmaq orchestrated attacks at Chignecto, Grand Pré, Dartmouth, Canso, Halifax and Country Harbour. The French erected forts at present-day Saint John, Chignecto and Port Elgin, New Brunswick. The British responded by attacking the Mi'kmaq and Acadians at Mirligueche (later known as Lunenburg), Chignecto and St. Croix. The British unilaterally established communities in Lunenburg and Lawrencetown. Finally, the British erected forts in Acadian communities located at Windsor, Grand Pre and Chignecto. The war ended after six years with the defeat of the Mi'kmaq, Acadians and French in the Battle of Fort Beausejour. Despite the official cessation of war between the British and French empires after King George's War, the conflict in Acadia and Nova Scotia continued; the British and New England rangers fought the Mi’kmaq, Acadians and the French missionary priests. The Mi'kmaq and Acadians were united in their commitment to Catholicism, intermarriage, and the gifts provided by the French to the Mi'kmaq. Despite the British Conquest of Acadia in 1710, the dominant population in Acadia remained Catholic Acadians, who would not sign an unconditional oath to become British subjects. As a result, Acadians and Mi’kmaq resisted the British occupation of Acadia. By the time Cornwallis had arrived in Halifax (1749), there was a long history of the Wabanaki Confederacy (which included the Mi'kmaq) protecting their land by killing British civilians along the New England/ Acadia border in Maine (See the Northeast Coast Campaigns 1688, 1703, 1723, 1724, 1745, 1746, 1747). Before the founding of Halifax, there was also a long history of Acadian resistance to the British through three French and Indian Wars as well as Father Rale's War. Acadians joined French privateer Pierre Maisonnat dit Baptiste as crew members in his victories over many British vessels during King William's War. After the Siege of Pemaquid (1696), d'Iberville led a force of 124 Canadians, Acadians, Mi'kmaq and Abanaki in the Avalon Peninsula Campaign. They destroyed almost every British settlement in Newfoundland, killed more than 100 British and captured many more. They deported almost 500 British colonists to England or France. During Queen Anne's War, Mi’kmaq and Acadians resisted during the Raid on Grand Pré, Piziquid and Chignecto in 1704. The Acadians assisted the French in protecting the capital in the Siege of Port Royal (1707) and the final Conquest of Acadia. The Acadians and Mi’kmaq were also successful in the Battle of Bloody Creek (1711). During Father Rale's War, the Maliseet raided numerous British vessels on the Bay of Fundy while the Mi'kmaq raided Canso, Nova Scotia (1723). In the latter engagement, the Mi'kmaq were aided by Acadians. During King George's War, Abbé Jean-Louis Le Loutre led forces of both Acadians and Mi’kmaq in efforts to recapture the capital, such as the Siege of Annapolis Royal (1744). During this siege, the French officer Marin had taken British prisoners and stopped with them further up the bay at Cobequid. While at Cobequid, an Acadian said that the French soldiers should have "left their [the British] carcasses behind and brought their skins." Le Loutre was also joined by the prominent Acadian resistance leader Joseph Broussard (Beausoleil). Broussard and other Acadians supported the French soldiers in the Battle of Grand Pré. During King George's War, Le Loutre, Gorham and Lawrence rose to prominence in the region. During the war, however, Massachusetts Governor Shirley acknowledged that Nova Scotia was still "scarcely" British and urged London to fund building forts in the Acadian communities. At the outset of Le Loutre's war, along with the New England Ranger units, there were three British regiments at Halifax: the 40th Regiment of Foot arrived from Annapolis, while the 29th Regiment of Foot and 45th Regiment of Foot arrived from Louisbourg. The 47th Regiment under the command of Peregrine Lascelles arrived the following year (1750). At sea, Captain John Rous was the senior naval officer on the Nova Scotia station during the war. The main officer under his command was Silvanus Cobb. John Gorham also owned two armed schooners: the Anson and the Warren. The war began when Edward Cornwallis arrived to establish Halifax with 13 transports on June 21, 1749. By unilaterally establishing Halifax the British violated earlier treaties with the Mi'kmaq (1726). The British quickly began to build other settlements. To guard against Mi'kmaq, Acadian and French attacks on the new Protestant settlements, British fortifications were erected in Halifax (Citadel Hill) (1749), Bedford (Fort Sackville) (1749), Dartmouth (1750), Lunenburg (1753) and Lawrencetown (1754). Within 18 months of establishing Halifax, the British also took firm control of the Nova Scotia peninsula by building fortifications in all the major Acadian communities: present-day Windsor (Fort Edward); Grand Pré (Fort Vieux Logis) and Chignecto (Fort Lawrence). A British fort (Fort Anne) already existed at the other major Acadian centre of Annapolis Royal, Nova Scotia and Cobequid remained without a fort. Le Loutre is reported to have said that "the English might build as many Forts as they pleased but he wou'd take care that they shou'd not come out of them, for he was resolved to torment them with his Indians...."
The only land route between Louisbourg and Quebec went from Baie Verte through Chignecto, along the Bay of Fundy and up the Saint John River. With the establishment of Halifax, the French recognized at once the threat it represented and that the Saint John River corridor might be used to attack Quebec City itself. To protect this vital gateway, at the beginning of 1749, the French strategically constructed three forts within 18 months along the route: one at Baie Verte (Fort Gaspareaux), one at Chignecto (Fort Beausejour) and another at the mouth of the Saint John River (Fort Menagoueche). In response to Gorham's raid on the St. John River in 1748, the Governor of Canada threatened to support native raids along the northern New England border. There were many previous raids from the Mi'kmaq militia and Maliseet Militias against British settlers on the border (1703, 1723, 1724, 1745, 1746, 1747). During the war, along the former border of Acadia, the Kennebec River, the British built Fort Halifax (Winslow), Fort Shirley (Dresden, formerly Frankfurt) and Fort Western (Augusta). With demands for an unconditional oath, the British fortification of Nova Scotia, and the support of French policy, a significant number of Acadians made a stand against the British. On 18 September 1749, a document was delivered to Edward Cornwallis signed by a total of 1000 Acadians, with representatives from all the major centres. The document stated that they would leave the country before they would sign an unconditional oath. Cornwallis continued to press for the unconditional oath rejecting their Christian Catholic Faith and accepting the Protestant Anglican Church with a deadline of 25 October. In response, hundreds of Acadians were deported by the British with the confiscation of their homes, their lands and their cattle. The deportation of the Acadians by the British involved almost half of the total Acadian population of Nova Scotia. The expulsion was brutal often separating children from their families. The leader of the Exodus was Father Jean-Louis Le Loutre, whom the British gave the code name "Moses". Historian Micheline Johnson described Le Loutre as "the soul of the Acadian resistance." The first military conflict of the war was at Canso, Nova Scotia. On 19 August 1749, Lieutenant Joseph Gorham, younger brother of John Gorham (military officer), was under the command of William Clapham at Canso, Nova Scotia and his party was attacked by Mi'kmaq. They seized his vessel and took twenty prisoners and carried them off to Louisbourg ten days later on the 29th. Three English and seven Mi'kmaq were killed. After Cornwallis complained to the Governor of Ile Royale, sixteen of the prisoners were released to Halifax and the other four sent off on their own vessel. The year earlier the Mi'kmaq had seized Captain Ellingwood's vessel Success and he promised them 100 pounds and left his son hostage to have it released. Mikmaq reported they released the prisoners from Canso. because Captain Ebenezer Ellingwood had paid the money but had not returned for his son. At the Isthmus of Chignecto in August 1749, the Mi'kmaq attacked two British vessels thought to be preventing Acadians from joining the Acadian Exodus by leaving Beaubassin for Ile St. Jean. Seven Mi'kmaq were killed and 3 British. On September 18, several Mi'kmaq and Maliseets ambushed and killed three British men at Chignecto. Seven natives were killed in the skirmish. The Mi'kmaq saw the founding of Halifax without negotiation as a violation of earlier agreements with the British. On 24 September 1749, the Mi'kmaq formally declared their hostility to the British plans for settlement without more formal negotiations. 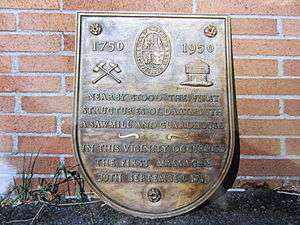 On September 30, 1749, about forty Mi'kmaq attacked six men, who were under the command of Major Gilman, who were in Dartmouth, Nova Scotia cutting trees near a saw mill. Four of them were killed on the spot, one was taken prisoner and one escaped. Two of the men were scalped and the heads of the others were cut off. Major Ezekiel Gilman and others in his party escaped and gave the alarm. A detachment of rangers was sent after the raiding party and cut off the heads of two Mi'kmaq and scalped one. This raid was the first of eight against Dartmouth during the war. This raid was consistent with the Wabanaki Confederacy and New England's approach to warfare with each other since King William's War (1688). After this raid, Cornwallis followed the example of numerous Massachusetts Governors who used scalping proclamations to protect British settlers from being massacred. On October 2, 1749, to protect the first British settlers in Nova Scotia from being scalped, Cornwallis offered a bounty on the head of every Mi'kmaq. He set the amount at the same rate that the Mi'kmaq received from the French for British scalps. As well, to carry out this task, two companies of rangers were raised, one led by Captain Francis Bartelo and the other by Captain William Clapham. These two companies served alongside that of John Gorham's company. The three companies scoured the land around Halifax looking for Mi'kmaq. The bounties were not effective. Cornwallis was forced to dramatically increase what he was willing to pay for a scalp in March 1751. This increase only resulted in one scalp being collected within the following four months. In June 1749, the Acadians and Mi'kmaq of Mirligueche (later known as Lunenburg, Nova Scotia) had declared themselves peaceful toward the British. Four months later, and three days after the bounty was ordered, however, on October 5, Governor Edward Cornwallis sent Commander White with troops in the 20 gun sloop Sphinx to Mirligueche (Lunenburg) and had the village destroyed. By 1753 there still was only one family in the area – a Mi'kmaq man named "Old [Paul] Labrador" and his metis family. Two months later, on November 27, 1749, 300 Mi'kmaq, Maliseet, and Acadians attacked Fort Vieux Logis, recently established by the British in the Acadian community of Grand Pré. The fort was under the command of Captain Handfield. The Native and Acadian militia killed the sentrys (guards) who were firing on them. The Natives then captured Lieutenant John Hamilton and eighteen soldiers under his command, while surveying the fort's environs. After the British soldiers were captured, the native and Acadian militias made several attempts over the next week to lay siege to the fort before breaking off the engagement. Gorham's Rangers was sent to relieve the fort. When he arrived, the militia had already departed with the prisoners. The prisoners spent several years in captivity before being ransomed. There was no fighting over the winter months, which was common in frontier warfare. The following spring, on March 18, 1750, John Gorham and his Rangers left Fort Sackville (at present day Bedford, Nova Scotia), under orders from Governor Cornwallis, to march to Piziquid (present day Windsor, Nova Scotia). Gorham's mission was to establish a blockhouse at Piziquid, which became Fort Edward, and to seize the property of Acadians who had participated in the siege of Grand Pré. Arriving at about noon on March 20 at the Acadian village of Five Houses beside the St. Croix River, Gorham and his men found all the houses deserted. Seeing a group of Mi’kmaq hiding in the bushes on the opposite shore, the Rangers opened fire. The skirmish deteriorated into a siege, with Gorham's men taking refuge in a sawmill and two of the houses. During the fighting, the Rangers suffered three wounded, including Gorham, who sustained a bullet in the thigh. As the fighting intensified, a request was sent back to Fort Sackville for reinforcements. Responding to the call for assistance on March 22, Governor Cornwallis ordered Captain Clapham's and Captain St. Loe's Regiments, equipped with two field guns, to join Gorham at Piziquid. The additional troops and artillery turned the tide for Gorham and forced the Mi’kmaq to withdraw. Gorham proceeded to present-day Windsor and forced Acadians to dismantle their church - Notre Dame de l'Assomption - so that Fort Edward could be built in its place. In May 1750, Lawrence was unsuccessful in establishing himself at Chignecto because Le Loutre burned the village of Beaubassin, thereby preventing Lawrence from using the supplies of the village to establish a fort. (According to historian Frank Patterson, the Acadians at Cobequid burned their homes as they retreated from the British to Tatamagouche, Nova Scotia in 1754.) Lawrence retreated only to return in September 1750. On September 3, 1750 New England Ranger John Gorham led over 700 men to the Isthmus of Chignecto. Mi’kmaq and Acadians opposed the landing and killed twenty British. Several Mi’kmaq were killed and they were eventually overwhelmed by the invading force and withdrew, burning their crops and houses as they retreated. On 15 October (N.S.) a group of Micmacs disguised as French officers called a member of the Nova Scotia Council Edward How to a conference. This trap, organized by Chief Étienne Bâtard, gave him the opportunity to wound How seriously, and How died five or six days later, according to Captain La Vallière (probably Louis Leneuf de La Vallière), the only eye-witness. Le Loutre and Acadian militia leader Joseph Broussard resisted the British assault. The British troops defeated the resistance and began construction of Fort Lawrence near the site of the ruined Acadian village of Beaubassin. The work on the fort proceeded rapidly and the facility was completed within weeks. To limit the British to peninsular Nova Scotia, the French began also to fortify the Chignecto and its approaches, constructing Fort Beausejour and two satellite forts - one at present-day Port Elgin, New Brunswick (Fort Gaspareaux) and the other at present-day Saint John, New Brunswick (Fort Menagoueche). During these months, 35 Mi'kmaq and Acadians ambushed Ranger Francis Bartelo, killing him and six of his men while taking seven others captive. The captives' bloodcurdling screams as the Mi'kmaq tortured them throughout the night had a chilling effect on the New Englanders. There were four raids on Halifax during the war. The first raid happened in October 1750, while in the woods on peninsular Halifax, Mi'kmaq scalped two British people and took six prisoner: Cornwallis' gardener, his son, and Captain William Clapham's book keeper were tortured and scalped. The Mi'kmaq buried the son while the gardener's body was left behind and the other six persons were taken prisoner to Grand Pre for five months. Shortly after this raid, Cornwallis learned that the Mi'kmaq had received payment from the French at Chignecto for five prisoners taken at Halifax as well as prisoners taken earlier at Dartmouth and Grand Pre. In August 1750, there was a naval battle off Baie Verte between British Captain Le Cras, of the Trial and the French sloop, the London, of 70 tons. The London was seized to discover that it had been employed to carry stores of all kinds, arms and ammunition, from Quebec to Le Loutre and the Mi'kmaw fighters. François Bigot, the intendant of New France had given instructions to the French captain to follow the orders of Le Loutre or La Corne, the bills of lading endorsed by Le Loutre, and other papers and letters, were found on board of her, with four deserters from Cornwallis' regiment, and a family of Acadians. The prize and her papers were sent to Halifax. In mid September 1750 French officer Louis Du Pont Duchambon de Vergor (later the commander at Fort Beausejour) was dispatched aboard the brigantine Saint-François to convoy the schooner Aimable Jeanne, which was carrying munitions and supplies from Quebec to the Saint John River for Boishebert at Fort Boishebert. 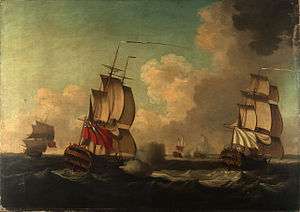 Early on 16 October, about ten leagues west of Cape Sable (present-day Port La Tour, Nova Scotia and area), British Captain John Rous in the HMS Albany overtook the French vessels. Despite inferior armament, Vergor engaged the sloop, allowing the Aimable Jeanne to reach Fort Boishebert. The action lasted the better part of the day, after which, with only seven men fit out of 50 and the Saint-François unmasted and sinking, Vergor was obliged to yield. Three of Rous' crew were killed. The French ship contained a large supplies of provision, uniforms and warlike supplies. Cornwallis noted that this action was the second time he had caught the Governor of Canada sending a ship of military supplies to the Mi'kmaq to use against the British. By the end of the year, Cornwallis estimated that there were no less than eight to ten French vessels which unloaded war supplies for the Mi'kmaq, French and Acadians at Saint John River and Baye Vert. In response to their defeat in the Battle off Port La Tour, the Governor of Canada ordered four British sloops to be seized at Louisbourg. There were six raids on Dartmouth during this time period. In July 1750, the Mi'kmaq killed and scalped 7 men who were at work in Dartmouth. In August 1750, 353 people arrived on the Alderney and began the town of Dartmouth. The town was laid out in the autumn of that year. The following month, on September 30, 1750, Dartmouth was attacked again by the Mi'kmaq and five more residents were killed. In October 1750 a group of about eight men went out "to take their diversion; and as they were fowling, they were attacked by the Indians, who took the whole prisoners; scalped ... [one] with a large knife, which they wear for that purpose, and threw him into the sea ..."
The following spring, on March 26, 1751, the Mi'kmaq attacked again, killing fifteen settlers and wounding seven, three of which would later die of their wounds. They took six captives, and the regulars who pursued the Mi'kmaq fell into an ambush in which they lost a sergeant killed. Two days later, on March 28, 1751, Mi'kmaq abducted another three settlers. Two months later, on May 13, 1751, Broussard led sixty Mi'kmaq and Acadians to attack Dartmouth again, in what would be known as the "Dartmouth Massacre". Broussard and the others killed twenty settlers - mutilating men, women, children and babies - and took more prisoner. A sergeant was also killed and his body mutilated. They destroyed the buildings. The British returned to Halifax with the scalp of one Mi'kmaq warrior, however, they reported that they killed six Mi'kmaq warriors. Captain William Clapham and sixty soldiers were on duty and fired from the blockhouse. The British killed six Mi'kmaq warriors, but were only able to retrieve one scalp that they took to Halifax. Those at a camp at Dartmouth Cove, led by John Wisdom, assisted the settlers. Upon returning to their camp the next day they found the Mi'kmaq had also raided their camp and taken a prisoner. All the settlers were scalped by the Mi'kmaq. The British took what remained of the bodies to Halifax for burial in the Old Burying Ground. The British retaliated for the raid on Dartmouth by sending several armed companies to Chignecto. A few French defenders were killed and the dikes were breached. Hundreds of acres of crops were ruined which was disastrous for the Acadians and the French troops. In the summer of 1752 Father Le Loutre went to Quebec and then on to France to advocate for supplies to re-build the dikes. He returned in the spring of 1753. In 1752, the Mi'kmaq attacks on the British along the coast, both east and west of Halifax, were frequent. Those who were engaged in the fisheries were compelled to stay on land because they were the primary targets. In early July, New Englanders killed and scalped two Mi'kmaq girls and one boy off the coast of Cape Sable (Port La Tour, Nova Scotia). In August, at St. Peter's, Nova Scotia, Mi'kmaq seized two schooners - the Friendship from Halifax and the Dolphin from New England - along with 21 prisoners who were captured and ransomed. By the summer of 1752, the war had not been going well for the British. The Acadian Exodus remained strong. The war had bankrupted the colony. As well, two of the three ranger leaders had died. 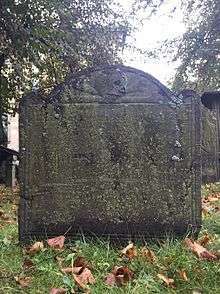 In August 1751, the main ranger leader John Gorham left for London and died there of disease in December. Ranger leader Captain Francis Bartelo had been killed in action at Chignecto, while the other ranger leader Captain William Clapham had been disgraced, failing to prevent the Dartmouth Massacre. John Gorham was succeeded by his younger brother Joseph Gorham. In 1752, to reduce the expense of the war, the companies raised in 1749 were disbanded, bringing down the strength of the unit to only one company. 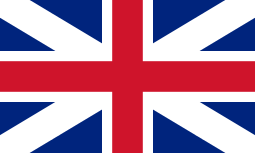 This reduction led to the 22 March 1753 resolution for a militia that would be raised from the colonists to establish the security of the colony, in which all British subjects between the ages of 16 and 60 were compelled to serve. Throughout 1753, French authorities on Cape Breton Island were paying Mi'kmaq warriors for the scalps of the British. In June 1753, the London Magazine reported that "the war with the Indians hath hitherto hindered the inhabitants going far into the woods." On 14 September 1752 Governor Peregrine Hopson and the Nova Scotia Council negogiated the Treaty of 1752 with Jean-Baptiste Cope. (The treaty was signed officially on November 22, 1752.) Cope was unsuccessful in getting support for the treaty from other Mi'kmaq leaders. Cope burned the treaty six months after he signed it. Despite the collapse of peace on the eastern shore, the British did not formally renounce the Treaty of 1752 until 1756. On February 21, 1753, nine Mi'kmaq from Nartigouneche (present-day Antigonish, Nova Scotia) in canoes attacked a British vessel at Country Harbour, Nova Scotia. The vessel was from Canso, Nova Scotia and had a crew of four. The Mi'kmaq fired on them and drove them toward the shore. Other natives joined in and boarded the schooner, forcing them to run their vessel into an inlet. The Mi'kmaq killed and scalped two of the British and took two others captive. After seven weeks in captivity, on April 8, the two British prisoners - one of which was John Connor - killed six Mi'kmaq and managed to escape. The Mi'kmaq account of this attack was that the two English died of natural causes and the other two killed six of the Mi'kmaq for their scalps. In response, on the night of April 21, under the leadership of Chief Jean-Baptiste Cope and the Mi'kmaq attacked another British schooner in a battle at sea off Jeddore, Nova Scotia. On board were nine British men and one Acadian (Casteel), who was the pilot. The Mi'kmaq killed and scalped the British and let the Acadian off at Port Toulouse, where the Mi'kmaq sank the schooner after looting it. In August 1752, the Mi'kmaq at Saint Peter's seized the schooners Friendship of Halifax and Dolphin of New England and took 21 prisoners who they held for ransom. In May 1753, Natives scalped two British soldiers at Fort Lawrence. In late September 1752, Mi’kmaq scalped a man they had caught outside the Palisade of Fort Sackvillle. In 1753, when Lawrence became governor, the Mi'kmaq attacked again upon the sawmills near the South Blockhouse on the Northwest Arm, where they killed three British. The Mi'kmaq made three attempts to retrieve the bodies for their scalps. On the otherside of the harbour in Dartmouth, in 1753, there were reported only to be five families, all of whom refused to farm for fear of being attacked if they left the confines of the picketed fence around the village. On 23 July 1753, Governor Hobson reported to the Board of Trade on the "continual war we have with the Indians." Governor Hobson in his letter to the Board of Trade, dated 1 October 1753, says, "At Dartmouth there is a small town well picketed in, and a detachment of troops to protect it, but there are not above five families residing in it, as there is no trade or fishing to maintain any inhabitants, and they apprehend danger from the Indians in cultivating any land on the outer side of the pickets." In the spring of 1753, it became public knowledge that the British were planning to unilaterally establish the settlement of Lunenburg, that is, without negotiating with the Mi'kmaq people. The British decision was a continuation of violations of an earlier treaty and undermined Chief Jean-Baptiste Cope's 1752 Peace Treaty. As a result, Governor Peregrine Hopson received warnings from Fort Edward that as many as 300 natives nearby were prepared to oppose the settlement of Lunenburg and intended to attack upon the arrival of settlers. The move was part of the British government campaign to establish Protestants in Nova Scotia against the power of Catholic Acadians. In June 1753, 1400 German and French Foreign Protestant settlers, supervised by Lawrence and protected by the British Navy ships, a unit of Regular soldiers under Major Patrick Sutherland, and a unit of rangers under Joseph Gorham, established the village of Lunenberg. The settlement was founded by two British army officers John Creighton and Patrick Sutherland and German-immigrant local official Dettlieb Christopher Jessen. In August 1753, Le Loutre paid Mi'kmaq for 18 British scalps which they took from the English in different incursions that they had made on their establishments over the summer. In mid December 1753, within six months of their arrival at Lunenburg, Nova Scotia, the new settlers, supported by Le Loutre, rebelled against the British. The rebellion is often referred to as "The Hoffman Insurrection," because it was led by John Hoffman, one of the army captains who had established the settlers in the town. Hoffman led a mob that eventually locked up in one of the blockhouses the Justice of the Peace and some of Commander Patrick Sutherland's troops. The rebels then declared a republic. 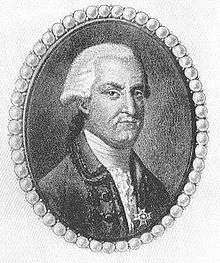 Commander Patrick Sutherland at Lunenburg asked for reinforcements from Halifax and Lawrence sent Colonel Robert Monckton with troops to restore order. 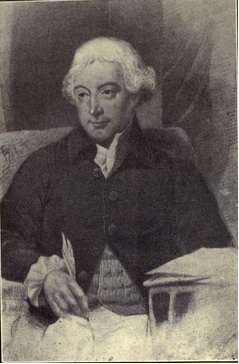 Monckton arrested Hoffman and took him to Halifax. Hoffman was charged with planning to join the French and take a large number of settlers with him. He was fined and imprisoned on Georges Island (Nova Scotia) for two years. After the rebellion a number of the French and German-speaking Foreign Protestants left the village to join Le Loutre and the Acadians. Lawrence and his deputy refused to send Acadians to the area for fear of their influence on the local population. Le Loutre and the Acadian refugees at Chignecto struggled to create dykes that would support the new communities that resulted from the Acadian Exodus. In the first winter (1749), the Acadians survived on rations waiting for the dykes to be built. Acadians from Minas were a constant support in providing provisions and labour on the dykes. In retaliation for the Acadian and Mi’kmaq Raid on Dartmouth (1751), the British raided Chignecto destroying the dykes and ruining hundreds of acres of crops. Acadians began to defect from the exodus and made application to return to the British colony. Le Loutre immediately sought help from Quebec and then France to support re-building dykes in the area. He returned with success in May 1753 and work began on the grand dyking project on riviere Au Lac (present day Aulac River, New Brunswick). At this time, there were 2000 Acadians and about 300 Mi'kmaq encamped near-by. By the summer of 1754, Le Loutre's amazing engineering feats manifested themselves on the great sweeping marshlands of the isthmus; he now had in his workforce and within a forty-eight-hour marching radius about 1400 to 1500 Acadian men. Nearby at Baie Verte there was a summer encampment of about 400 natives that would have been one of the largest concentrations of Native people in the Atlantic region at the time. Altogether, he had a substantial fighting force capable of defending itself against anything the Nova Scotia Government might have mustered at the time. Unfortunately, that year storm tides broke through the main cross-dike of the large-scale reclamation project, destroying nearly everything the Acadians had accomplished in several months of intense work. Again some Acadians tried to defect to the British. 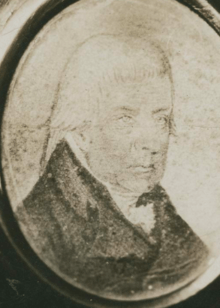 Prominent Halifax business person Michael Francklin was captured by a Mi'kmaw raiding party in 1754 and held captive for three months. Another captivity narrative was written by Henry Grace was taken captive by the Mi'kmaq near Fort Cumberland in the early 1750s. The narrative was entitled, "The History of the Life and Sufferings of Henry Grace" (Boston, 1764). In April 1755, while searching for a wrecked vessel at Port La Tour, Cobb discovered the French schooner Marguerite (Margarett), taking war supplies to the Saint John River for Boishebert at Fort Menagoueche. Cobb returned to Halifax with the news and was ordered by Governor Charles Lawrence to blockade the harbour until Captain William Kensey arrived in the warship HMS Vulture, and then to assist Kensey in capturing the French prize and taking it to Halifax. During Father Le Loutre's War, Minas Basin communities willingly responded to the call from Le Loutre for basic food stuffs. The bread basket of the region, they raised wheat and other grains, produced flour in no fewer than eleven mills, and sustained herds of several thousand head of cattle, sheep and hogs. Regular cattle droves made their way over a road from Cobequid to Tatamagouche for the supply of Beausejour, Louisbourg, and settlements on Ile St. Jean. Other exports went by sea from Minas Basin to Beaubassin or to the mouth of the St. John River, carried in Acadian vessels by Acadian middlemen. At the same time, Acadians began to refuse to trade with the British. By 1754, no Acadian produce was reaching the Halifax market. While the French pressured Acadians not to trade with Halifax, even when British merchants tried to buy directly from Acadians, they were refused. Acadians refused to supply Fort Edward with any firewood. Lawrence passed a Corn Law, forbidding Acadian exports until Halifax market had been supplied. The British devised a war plan for Nova Scotia that focused on cutting off the food supply to Fort Beauséjour and Louisbourg. This plan involved both siege tactics but also cutting of the source of the supply. On May 22, 1755, the British commanded a fleet of three warships and thirty-three transports carrying 2,100 soldiers from Boston, Massachusetts; they landed at Fort Lawrence on June 3, 1755. The following day the British forces attacked Fort Beausejour using the plan created by spy Thomas Pichon. After the Fort's capitulation the French forces evacuated on June 16, 1755 to Fort Gaspereaux en route to Louisbourg, arriving on June 24, 1755. Shortly after, Monckton dispatched Captain John Rous to take Fort Menagoueche at the mouth of the St. John River. Boishebert, seeing that resistance was futile, destroyed the fort and retreated upriver to Belleisle Bay. There he erected a camp volant and constructed a small battery as a rear guard for the Acadian settlements on the river., which the French destroyed themselves to prevent it from falling into British hands. This battle proved to be one of the key victories for the British in the Seven Years' War, in which Great Britain gained control of nearly all of New France. Father Le Loutre's War had done much to create the condition of total war; British civilians had not been spared, and, as Lawrence saw it, Acadian civilians had provided intelligence, sanctuary, and logistical support while others actually fought in armed conflict. More than any other single factor - including the massive assault that eventually forced the surrender of Louisbourg - the supply problem spelled doom to French power in the region. To cut off the supply to the French, Lawrence realized he could do this, in part, by deporting the Acadians. With the fall of Beausejour, Le Loutre was imprisoned and the Acadian expulsion (the Great Upheaval) began. During the French and Indian War, the British forces rounded up French settlers starting with the Bay of Fundy Campaign (1755). The British deported the Acadians and burned their villages at Chignecto to prevent their return. The Acadian Exodus from Nova Scotia during the war spared most of those who joined it - particularly those who went to Ile St. Jean and Ile Royal – from the British expulsion of the Acadians in 1755. However, with the fall of Louisbourg in 1758, the Acadians who left for the French colonies were deported as well. Wikimedia Commons has media related to Father Le Loutre's War. ↑ Johnson, Micheline D. (1979). "Germain, Charles". In Halpenny, Francess G. Dictionary of Canadian Biography. IV (1771–1800) (online ed.). University of Toronto Press. 1 2 Johnson, Micheline D. (1974). "Daudin, Henri". In Halpenny, Francess G. Dictionary of Canadian Biography. III (1741–1770) (online ed.). University of Toronto Press. ↑ Johnson, Micheline D. (1979). "Girard, Jacques". In Halpenny, Francess G. Dictionary of Canadian Biography. IV (1771–1800) (online ed.). University of Toronto Press. ↑ Johnson, Micheline D. (1974). "Manach, Jean". In Halpenny, Francess G. Dictionary of Canadian Biography. III (1741–1770) (online ed.). University of Toronto Press. ↑ Read a memorial of Ezekiel Gilman, together with a state of his case, setting forth his having been appointed captain of a company in the regiment raised in New Hampshire for the intended expedition against Canada, but that when the expedition was at an end his name was left out of the pay rolls and his company given to one of Governor Wentworth's sons. ↑ Irish officer, 1749–50, later Major, 1775; Lieut. in Gorham's Rangers by 1754 (See London Magazine, 1754, p. 474) and later he was in the 59th Regiment of Foot. Richard Bulkeley Senr. excepted, Moncrieffe was the only charter member of The Charitable Irish Society of Halifax also to have come to Nova Scotia with Governor Edward Cornwallis in 1749 (Nova Scotia Archives). In the 59th regiment he fought under Thomas Cage in Boston during the American Revolution. He later returned to Halifax. ↑ John Grenier developed the "Father Le Loutre's War" frame on these series of conflicts in his books The Far Reaches of Empire: War in Nova Scotia 1710-1760 (University of Oklahoma Press, 2008) and The First Way of War: American War Making on the Frontier, 1607-1814 (Cambridge University Press, 2005). ↑ 2576 settlers arrived with Cornwallis; the following year, 353 arrived on the Alderney; 300 Foreign Protestants also arrived. (See Akins. History of Halifax, p. 5, p. 27). ↑ John G. Reid. "Amerindian Power in the Early Modern Northeast: A Reappraisal." in Essays on Northeastern North America: Seventeenth and Eighteenth Centuries (Toronto: University of Toronto Press, 2008) ; Grenier, John. The Far Reaches of Empire. War in Nova Scotia, 1710-1760. University of Oklahoma Press, Norman, 2008. ↑ The focus of the raids were the towns on the Acadia/ New England border: A line drawn from Falmouth, now Portland, on Casco Bay, by the towns Scarborough, Saco, Wells, York, Amesbury, Haverhill, Andover, Dunstable, Chelmsford, Groton, Lancaster, and Worcester constituted the frontier of Massachusetts, which then included Maine. Upon these settlements the stress of those wars fell. ↑ p. 316 Note the date of the is letter is wrong - it should read 1747 - not 1746. ↑ Rous was first in command of the 14-gun HMS Albany and then in 1753 took over the 14-gun HMS Success. ↑ Cobb captained the sloop York and then the 80 ton York and Halifax. ↑ Attacks on these forts continued through Father Le Loutre's War (See Maine Historical Society). ↑ Ellinwood's son Ebenezer Jr. was age 4 and would later also become a sea captain ( See Family Records. ↑ Cornwallis' decision to put a bounty on the Mi'kmaq was not based simply on the Raid on Dartmouth (1749). By the time Cornwallis had arrived in Halifax, there was a long history of the Wabanaki Confederacy (which included the Mi'kmaq) killing British civilians along the New England/ Acadia border in Maine (See the Northeast Coast Campaigns 1688, 1703, 1723, 1724, 1745, 1746, 1747). ↑ Bell, p. 403, 430. Note that Bell indicates he does not know the reason for the decrease in population, that is, he did not know about Cornwallis' orders to raid the village late in 1749. Bell speculates that the others migrated to Ile Royal at the urging of the French (p. 483). ↑ See Faragher 262; Griffith 392; Murdoch, 166-167; Grenier, p. 153; and http://www.northeastarch.com/vieux_logis.html). ↑ Gorham's point was located at the foot of present-day Garish Street and is the location of where Gorham built the first recorded vessel in Halifax, Osborne, the first ship left Halifax in August of 1751. ↑ Johnson, Micheline D. (1974). "Batard, Etienne". In Halpenny, Francess G. Dictionary of Canadian Biography. III (1741–1770) (online ed.). University of Toronto Press. ↑ Pothier, Bernard (1979). "du Pont Duchambon de Vergor, Louis". In Halpenny, Francess G. Dictionary of Canadian Biography. IV (1771–1800) (online ed.). University of Toronto Press. ↑ Beamish Murdoch. A History of Nova Scotia. Vol. 2 p. 194. 1 2 See anonymous private letter printed by Harry Chapman, p. 30. ↑ A genuine narrative of the transactions in Nova Scotia since the settlement, June 1749, till August the 5th, 1751 [microform] : in which the nature, soil, and produce of the country are related, with the particular attempts of the Indians to disturb the colony / by John Wilson; Harry Chapman, p. 29; Douglas William Trider list the 34 people who were buried in Halifax between May 13 - June 15, 1751. Four of whom were soldiers. (See History of Halifax and Dartmouth Harbour: 1415-1800. vol. 1, p. 69). ↑ Ruth Whitehead, The Old Man Told Us. p. 137; Stephen Patterson reports the attack happened on the coast between Country Harbour and Tor Bay (See Stephen Patterson. "Indian-White Relations in Nova Scotia, 1749-1761". Buckner, P et al. (eds.) The Acadiensis Reader: Volume One: Atlantic Canada Before Confederation. Acadiensis Press. 1998. p. 97.) Whitehead reports the location was a little harbour to the westward of Torbay, "Martingo", "port of Mocodome"; Whitehead, p. 137. Beamish Murdoch in A history of Nova-Scotia, or Acadie, Volume 1p. 410 identifies Mocodome as present-day "Country Harbour". The Mi'kmaq claimed the British schooner was accidentally shipwrecked and some of the crew drowned. They also indicated that two men died of illness while the other killed the six Mi'kmaq despite their hospitality. The French officials did not believe the Mi'kmaq account of events. ↑ See Provost Marshal W.M. Cotterell to Col. Sutherland, Secretary's Office, 18 March 1754. Thomas Atkins. Selections from the public documents of the province of Nova Scotia. 1869. p. 208. ↑ Fisher, L.R. (1979). "Francklin, Michael". In Halpenny, Francess G. Dictionary of Canadian Biography. IV (1771–1800) (online ed.). University of Toronto Press. ↑ In the foreground of this contemporary painting, the 'Defiance', commanded by Captain Thomas Andrews is firing into the French warship the 'Lys', which is not replying. Between the two ships in the background can be seen the 'Dunkirk' commanded by Captain the Hon. Richard Howe and the 'Alcide' commanded by Captain de Hocquart. On the left an English merchantman is shown coming towards the viewer. ↑ Blakeley, Phyllis R. (1979–2016). "Cobb, Silvanus". Dictionary of Canadian Biography (online ed.). University of Toronto Press. ↑ Hand, p. 102; On the isthmus, the British renamed Fort Beausejour as Fort Cumberland and abandoned Fort Lawrence; they recognized the superior construction of Fort Beausejour. They also renamed Fort Gaspereaux, Fort Moncton. Lawrence, Charles. Journal and letters of Colonel Charles Lawrence : being a day by day account of the founding of Lunenburg. Halifax, N.S. : Public Archives of Nova Scotia, 1953. Les dernier jours de l'Acadie (1748-1758) Correspondences et mémoires; extraits du portefeuille de M. Le Courois de Surlaville ... mis en ordre et annotés par G. Du Boscq de Beaumont. Carroll, Brian D., "'Savages' in the Service of Empire: Native American Soldiers in Gorham's Rangers, 1744-1762," New England Quarterly 85, no. 3 (Sept. 2012): 383-429. Joseph Plimsoll Edwards. The Militia of Nova Scotia, 1749-1867. Collections of the Nova Scotia Historical Society. Vol. 17 (1913). pp. 63–110. Faragher, John. Great and Noble Scheme. New York: Norton, 2005. Griffiths, Naomi Elizabeth Saundaus. From Migrant to Acadian: A North American border people, 1604-1755. Montreal, Kingston: McGill-Queen's UP, 2005. Landry, Peter. The Lion & The Lily. Vol. 1. Victoria: Trafford, 2007. Patterson, Stephen E. "Indian-White Relations in Nova Scotia, 1749-61: A Study in Political Interaction." Buckner, P, Campbell, G. and Frank, D. (eds). The Acadiensis Reader Vol 1: Atlantic Canada Before Confederation. 1998. pp. 105–106. Rompkey, Ronald, ed. Expeditions of Honour: The Journal of John Salusbury in Halifax, Nova Scotia, 1749-53. Newark: U of Delaware P, Newark, 1982. Wicken, William. Mi'kmaq Treaties on Trial: History, Land, and Donald Marshall Junior. University of Toronto Press. 2002.